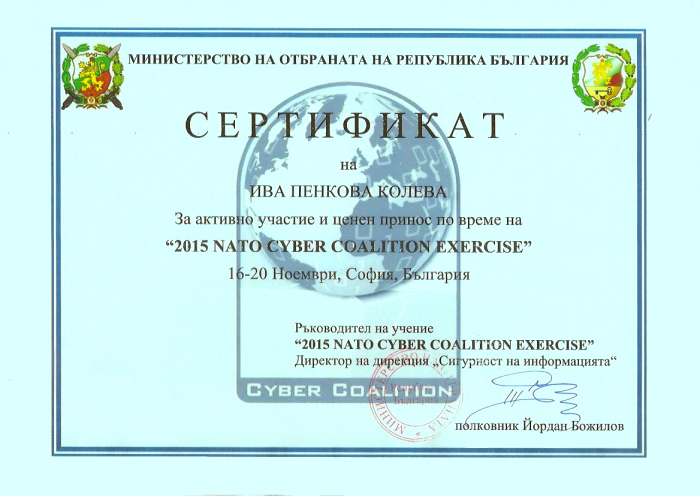 Exercise Cyber Coalition 2015 consist of more than 35 allied and partner nations. The exercise involves the use of the NATO Cyber Range, and includes agencies like the NATO Communication and Information Agency (NCIA). The organizations work together with subject matter experts at the NATO Cooperative Cyber Defense Centre of Excellence (CCD COE), which is located in Tallinn, Estonia. This exercise differs from the Locked Shield series because it challenges both NATO and national agencies with a number of scenarios that increase in complexity.